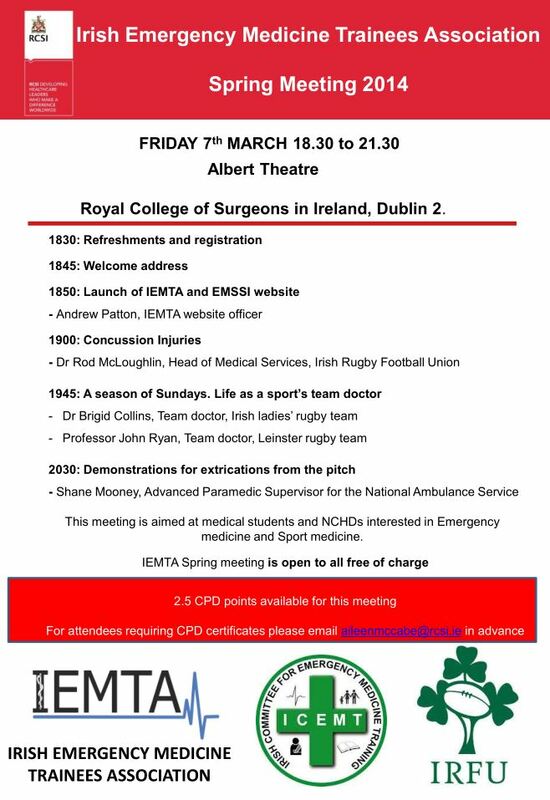 IEMTA are hosting its spring meeting on the 7th March 2014 in the Albert theatre, Royal College of Surgeons, College Green at 1830. The event is free and open to all interested in attending. 2.5 CPD points are available for those who request CPD certificates in advance from Aileen (aileenmccabe@rcsi.ie). We have great speakers, topical issues and a hands on session for attendees:The provisional programme is outlined below. Please disseminate within your EDs and encourage anyone interested to come along!